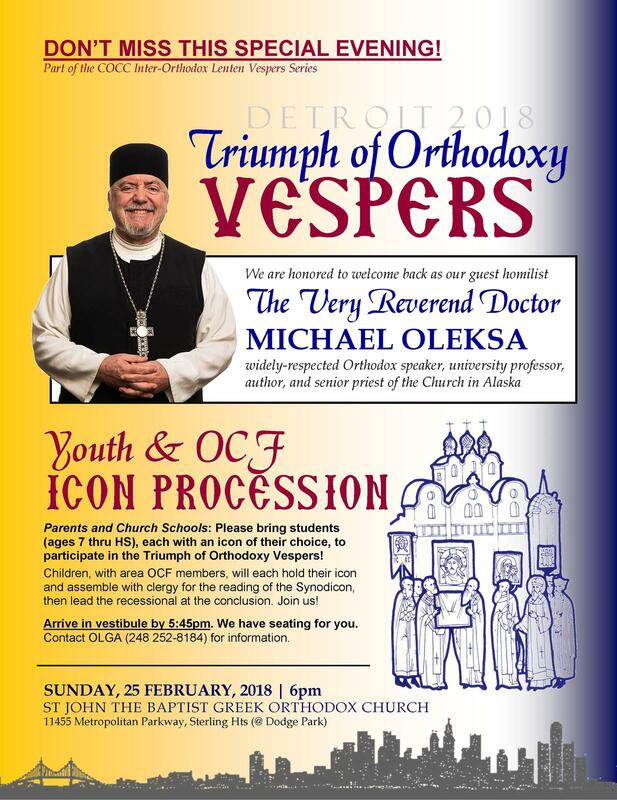 DETROIT, MI [COCC] -- The Council of Orthodox Christian Churches of Metropolitan Detroit (COCC) will hold the first in its annual series of Vespers services on the five Sundays of Orthodox Great Lent on February 25, Sunday of Orthodoxy, at 6 p.m. at St. John the Baptist Greek Orthodox Church, 11455 Metro Parkway, Sterling Heights, 48312. The Very Rev. Laurence Lazar, president of the St. John Chrysostom Clergy Brotherhood of Metropolitan Detroit, and other Orthodox clergy from the metro area will preside at the service. The homilist will be the well-known teacher and author the Rev. Dr. Michael Oleksa of Alaska [see related story]. 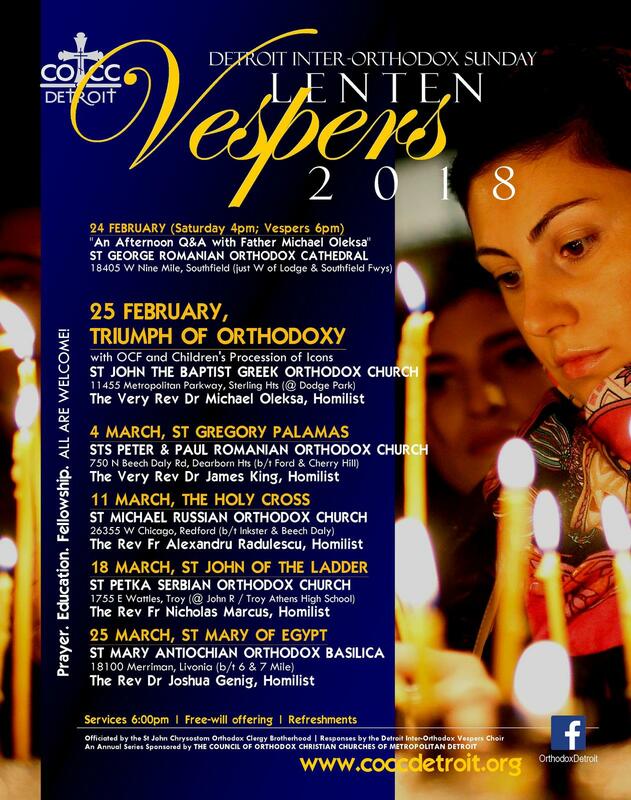 The Inter-Orthodox Lenten Vespers Choir, directed by Victoria Kopistiansky, will sing the responses. As has become a local tradition, children and college students from area parishes are encouraged to bring an icon and be part of the Procession of Icons that highlights the Sunday of Orthodoxy service. March 25 - Sunday of St. Mary of Egypt at the Antiochian Orthodox Basilica of St. Mary in Livonia.